A Scribblar review should be as simple as the application, so here goes: this is a piece of software that could revolutionise project management online collaboration. Scribblar is a virtual whiteboard – which also allows the playing of video and audio and the upload of documents and the presentation of details from websites. It is an application most used by teachers and tutors but can also integrate onto company or third-party website and act as a collaboration tool. Scribblar works in rooms, where numbers of users can join together to brainstorm, collaborate, learn together using the virtual whiteboard tools. Multiple users can upload and download images and documents and revise these with ease. People can make changes or they can offer comments, which help in the development of understanding or ideas. Scribblar offers both text and voice chat features, which means people can talk throughout the lifetime of a project with ease. You can use multiple devices to access the communication features, include phones and tablets. The live audio was initially designed for teachers and tutors to run presentations and receive answers from those in their “class”. However, the functionality is perfect for most business interactions too, including presentations and collaborative online meetings. When you subscribe to Scribblar Pro you have developer access to the API, which means you can integrate Scribbler’s features into an existing website. This allows the functionality of the app with the branding of your own website. You can use Scribblar for free on a one-to-one level, making this a perfect online tool for tutors. However, there are four levels of the Scribblar package. The plans include basic, starter, standard and premium. The level of features stays standard but the number of users per room changes from 3, to 5, to 10 and up to 50. The number of rooms permitted is scaled in the same way. This means a basic package allows 3 rooms with 3 users in each, and so on. The Pro option allows up to 150 sessions and the integration of the app into your site. Scribblar is flexible and if you contact them they can adapt packages to meet your needs. Scribblar is used at Harvard University, Berkeley, University of Cambridge, Australian Catholic University, MIT Sloan Management, University of Warwick and more. Although the primary clientele tends to be educational institutions, the use of Scribblar is a lot more widespread. With the communication and collaboration tools, this is a great application for project and product managers. Scribblar and Conceptboard are both online interactive whiteboard applications that store ideas in the cloud. Both applications are the easiest way for a team to brainstorm and discuss ideas, wherever they happen to be. Both platforms come with a virtual whiteboard area, which entire teams can access remotely and draw, add shapes, sticky notes and mark up. 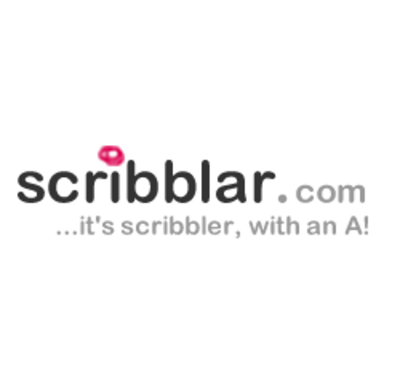 Scribblar allows the edit of images and video, as well as the initial development of ideas. This makes Scribblar an excellent proofing tool as well as a brainstorming tool. 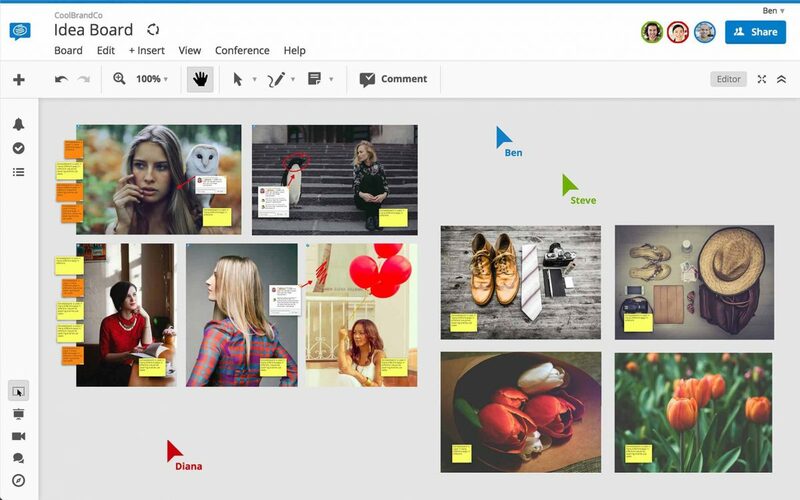 Conceptboard allows for images, documents and screenshots to be dragged on to the concept board for discussion, as well as files from your Google Drive. Conceptboard’s online whiteboards can expand as you add content. Therefore, rather than an interactive whiteboard, it becomes a single place for storing inspiration, evidence, ideas for a specific project. Secure sharing in both applications are available through a link sent to participants who can then get access to the board. Like Scribblar, Conceptboard allows multiple users and multiple boards once you begin a subscription with the tool. Conceptboard is only different in two ways – there is a read-only mode for information sharing and there is a mini-map view, which allows you to navigate a larger whiteboard that has grown beyond a single screen. Conceptboard uses an @Mention chat app, which organises messages and comments better than emails but is not as efficient as being able to talk to each other. Both Scribblar and Conceptboard allow video conferences and audio conferences – with the option of taking a team through an idea. This is much more useful in Conceptboard than Scribblar. Both Scribblar and Conceptboard are superior means of sharing a screen, which most project teams need to do most of the time. Conceptboard elevates this activity with the use of personal pointers for all people in the room and each user’s arrow is labelled – this feature allows people to direct the team to the part of the screen they are talking about – just in terms of the organisation of the screen. Equally, if you are merely presenting your concept board then you can switch to Moderator Mode – at this point only you speak but people can send you feedback. This is far superior to creating presentation slides and talking at a meeting. Both are excellent collaborative and communication tools that would be excellent for use by project managers. Conceptboard feels more professional in its user-interface but Scribblar allows develop access to the API, meaning the platform can be white labelled and integrated into your own website. Triddla requires no download and no setup – it is a tool that allows you to meet online with others and mark up websites, graphics, photos and more. You can even start with a blank canvas and brainstorm ideas. The reason for the conception of this tool was to allow for a group of friends to browse the internet together and scribble on the screen in response to what they see. However, this is a great, no frills, no issues with firewalls, a collaboration tool for either researching ideas or brainstorming new ones. Therefore, as well as collaboration, the point is communication. This platform was actually designed for product teams in mind and to part of the Agile methodology of product management – offering the flexibility in planning to adapt to the project. The whiteboard can be used to communicate and it can be used to collect together research – drag in references to websites, screenshots, moodboards – it also allows for group analysis of analytics. Each team member has their post-it notes, showing ideas, and their own labelled pointer tool. The insights from collaboration can then be turned into user flows, interface maps and wireframes for websites. It is an excellent tool for collaboration between product and project managers, their designers, their web developers or their clients. If you can’t imagine how to use this tool, there are over 30 templates to get you started using this collaboration, sharing and communication tool. Doceri is a sophisticated tool that allows a presenter to take control of another’s desktop and their audio-visual technology – and annotating documents and images. This is an interactive whiteboard and screencast recorder – where you can create shareable presentations that are then made available for others to view too. So, this is essentially a remote desktop utility with the ability to annotate and with some sophisticated tools for hand drew graphics. Groupboard is a free online whiteboard app, which is easy to embed into your website, like Scribblar. It works in any web browser and on an iPhone, iPad and Android. This is a sharing tool that is free for up to 5 users. There is a more advanced tool for designers, which includes object select, cut, paste, move, delete, pan, zoom, undo, redo and more. There is also the ability to upload office documents to the whiteboard. 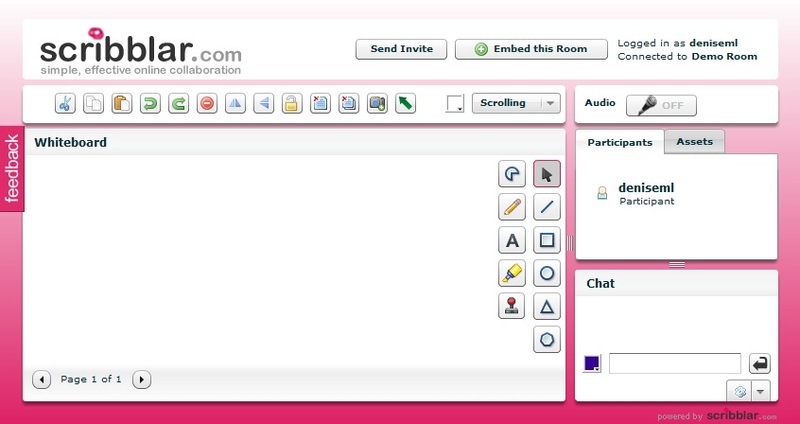 The Group World option is a web conferencing and online tutoring tool, which has an interactive whiteboard, voice/ video conferencing, shared code editing, desktop sharing and session recording. This is a comprehensive package that would be incredibly useful for product and project manager. At $24.99 per month, you can have multiple conference rooms and invite people to these rooms to collaborate. These collaborations can be recorded and stored for future record. Flockmod is not so much a shared interactive whiteboard but a shared drawing tool. It is specifically designed for a group of remote friends or colleagues to work together to draw together. This comes as an online app or there is a downloadable desktop version. This takes a less obvious route than Scribblar to being useful for project managers. This is a tool that can bring the remote team together to be creative, using a range of graphics tools including shapes and colours, lines and text. Scribblar is a tool that is more often than not used by online tutors and teachers, delivering content to a group of students who they want to join in. There is a whiteboard, a chat feature, an audio and video conferencing tool and a means of group editing of documents. These are all useful tools for project teams wishing to brainstorm and develop ideas together. There are lots of other tools with tangential uses that are also worth exploring for use in the progression of a project which might not be given the name project management tool. Find out more about the best online collaboration tools for teams.